French horn players who have played at least a few months are always excited to discover how much better they can play and sound on a step-up French horn. Beginner French horns are "single horns" meaning they have a single set of tubing. 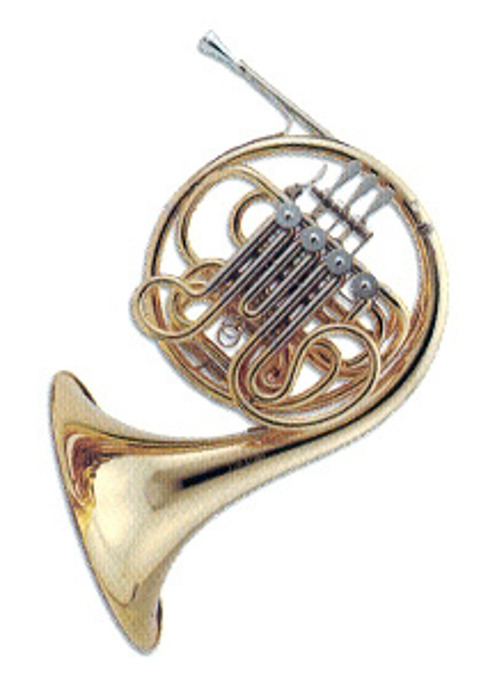 A single French horn is fine for beginners while they learn to make the elementary notes and work on basic technique and intonation. All French horns past the beginner level are "double horns" — they have two sets of tubing with an extra rotor valve (fourth) to switch between them. The extra set of tubing gives the French horn player the ability to make a more pleasant tone as well as better control the intonation of many notes. Almost all advancing French horn players play on a double horn, as it helps them perform more difficult music, improves their sound, and in general makes playing French horn more enjoyable. French horns are classified into four levels: beginner, intermediate, performer, and top-line. Beginner French horns are the single horns referred to above. In addition to the single set of tubing, they have small bores (inside size of the tubing), making them easier to play but sacrificing some potential tone. They're typically finished with clear lacquer, allowing the the brass to show through, and include the most basic features. They are designed for early use. Intermediate French horns are "double horns" and have larger bores, allowing bigger, fuller sound production. They can have a lacquered brass finish or a silver or nickle plated finish. The rotor valves are typically fitted to closer tolerances, minimizing leakage of air that causes a player to work harder. Mouthpieces tend to be slightly larger and more open. Intermediate French horns are popular with junior high and high school band students. Performer French horns are made largely by hand, especially in the hand-hammering of bells, special annealing of the brass, and hand lapping and fitting of the valves. 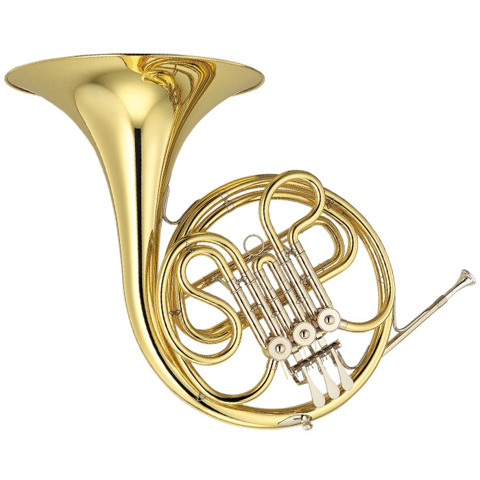 The design and production processes focus on creating a French horn that reproduces vibrations freely and faithfully. Bore sizes are usually medium large and the finish is often silver, although some performer French horns are available in lacquered brass finishes as well. Performer French horns have some tone advantages over intermediate French horns and are designed for use by students, both high school and college, who take their music seriously. Top-line French horns are largely hand-made and incorporate all of the manufacturer's best features and processes to create an ultimate French horn. They are used by professionals, studio musicians, and symphony players, as well as some amateurs for whom French horn is a serious avocation. More questions about French horns or stepping up? Reach an instrument specialist by email here or by phone at (901) 323-8888.